Lovely 3 Bedroom/2 Bath Home w/ separate office or 4th Bedroom (no closet) & Screened Porch. Home has been maintained in Excellent condition w/ beautiful curb appeal. Foyer flows into open Living & Ding Rm, which seller is using as a big Library w/ built in bookcases. Spacious Kitchen features an abundance cabinetry, breakfast bar, large pantry & desk area & attached Dinette Area, all open to the Family Rm w/ Sliders out to Screened Porch area. Split Bedroom plan: Lg. Master Suite & Master Bath has been updated & features two vanity areas, large shower with dual heads & 2 closet areas. Opposite side of the house includes 2 spacious Bedrooms, one with a murphy bed & closet converted to desk area & the 2nd with European style closet cabinetry around the bed; beautiful updated 2nd Bathroom. The home is highlighted w/ the outdoor oasis of the huge, screened Porch & private, fenced Back Yard. Home is perfect for entertaining w/ an open flow & flexible floor plan. Other features include: Roof only 3-4 years old, new Family Rm. 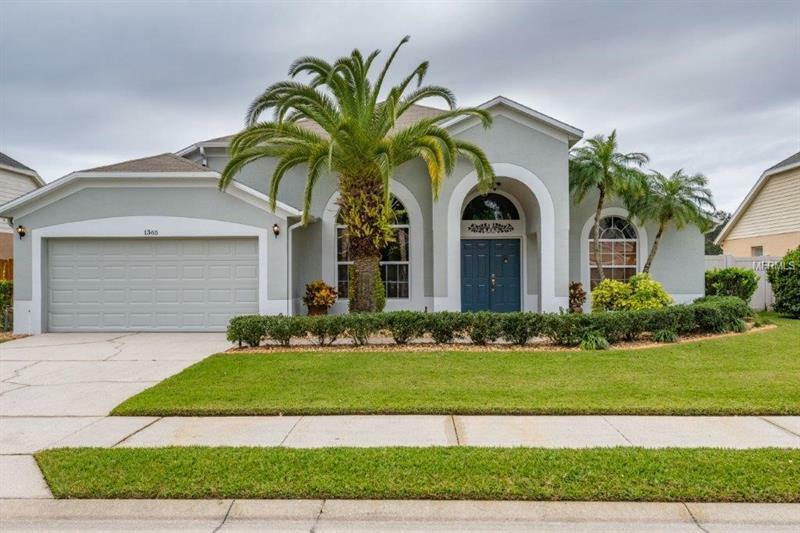 slider doors, tile floors in main areas, travertine floors in master bedroom, wood look tile in office, updated baths, new exterior paint in 2018 & more. Riverside at Twin Rivers is a wonderful neighborhood with Partin Elementary at the entrance to the neighborhood & the neighborhood lake/common area 4 houses away. This in a fantastic location within minutes to 417, UCF & Oviedo Town Center restaurants, movies, & shopping. You will be impressed w/ this home!